Today, when you order "No Pressure by Tyler Scott", you'll instantly be emailed a Penguin Magic gift certificate. You can spend it on anything you like at Penguin, just like cash. Just complete your order as normal, and within seconds you'll get an email with your gift certificate. No Pressure by Tyler Scott (Instant Download) Performing this effect is so easy, you will be performing this No Pressure! PENGUIN EXCLUSIVE: 100% impromptu handling of this effect taught with all other methods included. 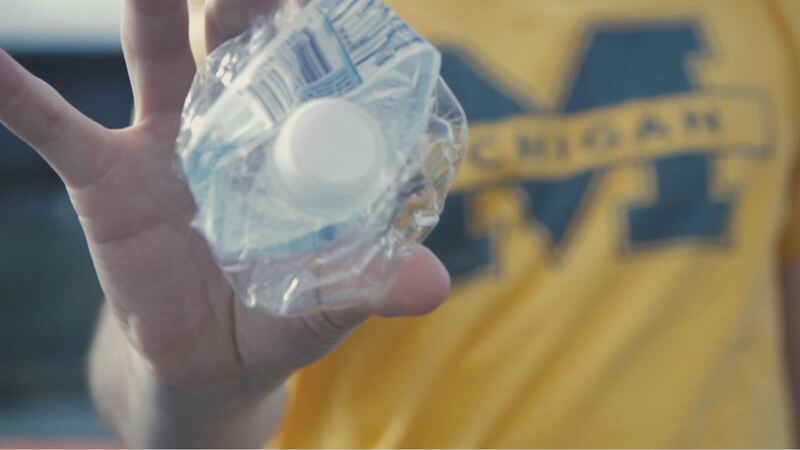 No Pressure is an effect where you can borrow a spectator's empty water bottle, have any one attempt to crush it with the cap sealed, and they are unable to due to the air pressure of the bottle. With a snap of your fingers, you can then magically remove the air pressure from the bottle and anyone can crush it at that point. The spectator can keep the bottle as a souvenir. There is no switches and you are clean while they try to crush it and afterwards.